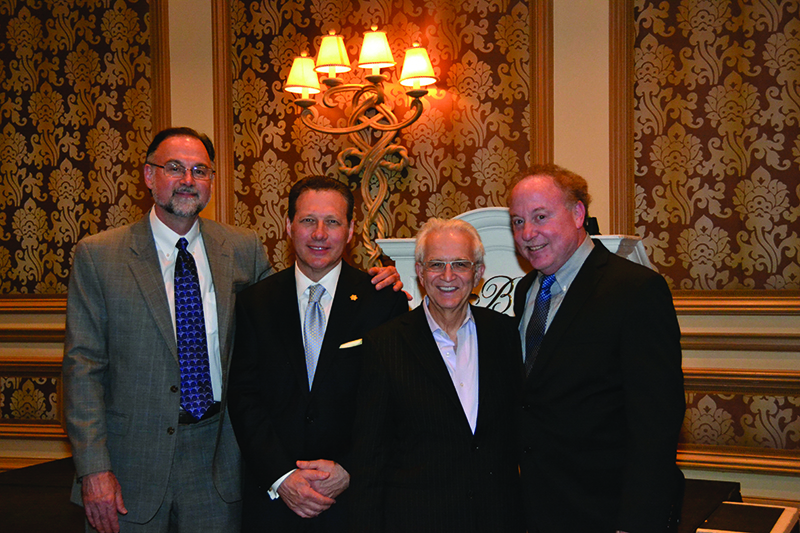 Vegas Cosmetic Surgery and Aesthetic Dermatology is celebrating a big milestone. 2014 marks its 10th anniversary in Las Vegas under the leadership and coordination of its founder, Kentucky facial plastic surgeon S. Randolph Waldman, MD. The goal of Vegas Cosmetic Surgery (VCS) was to foster a spirit of cooperation and understanding among the medical specialties that are primarily involved in the science, practice, and teaching of aesthetic surgery and medicine. ‘We try to have at least 25 members of each specialty represented so it is a true multi-specialty meeting. We go out of our way to make sure any interspecialty conflicts are left out of this meeting. It’s not about politics; it’s about education. We believe we are inviting the best people in their respective fields to join our faculty, and we try to find the leaders on each subject within their fields as well,’ said Dr Waldman. Executive Director Delphine Hepp has her work cut out for her. She and her team of three go to task on the next year’s event as soon as the annual meeting concludes. It’s a full time job and then some. Along with Executive Assistant, Sheridan Likoy, and Meeting Coordinators, Laura Beth Harris and Matthew Waldman, the VCS staff has a full plate. 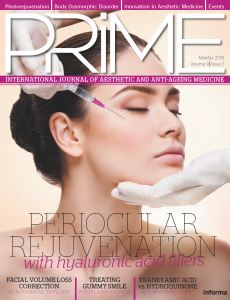 ‘We believe that Vegas Cosmetic Surgery and Aesthetic Dermatology brings together the best of the best in the cosmetics and aesthetics world, and it has been very exciting to see it grow over the years,’ said Hepp. And their hard work has certainly paid off, with a loyal following of faculty and attendees. 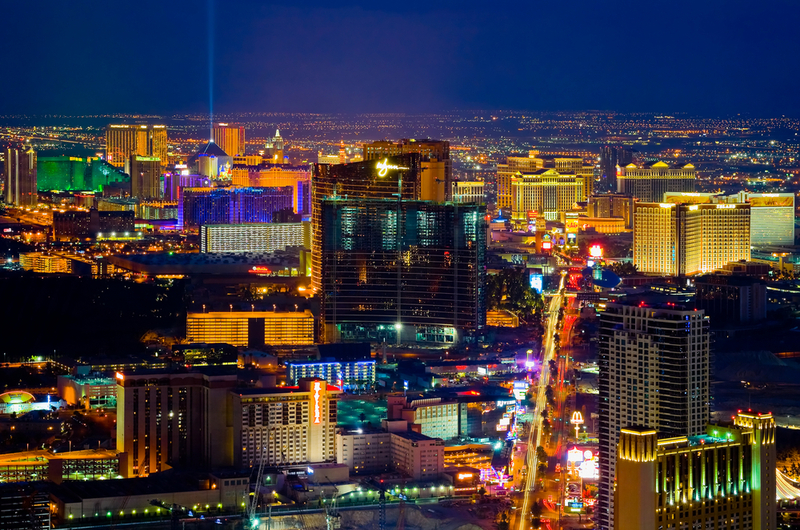 ‘The Vegas Meeting has such great appeal because it brings together thought leaders in the core subspecialties so that ideas are exchanged and developments within each subspecialty are shared. Dr Waldman and the steering committee develop the programme by inviting speakers who are innovators, so the meeting is different each year and the attendee can acquire new ideas and techniques that can help the practitioner better serve their patients. It has become a must attend for top physicians across the country,’ said New York facial plastic surgeon Andrew Jacono. With such a diverse 5-day programme, there is a wealth of topics to choose from. There is a roster of 15-minute clinical presentations that focus on industry trends and hot topics across all core specialties, including blepharoplasty, rhinoplasty, facelifting, dermal fillers, neurotoxins, fat grafting, skin resurfacing, and topical agents. If you want to take a deeper dive into the art of aesthetics, you can check out the 45 minute Masters Seminars that explore innovative techniques. Expert roundtables that feature leaders in their field also showcase the latest tools and technologies available. New York dermatologist Heidi Waldorf agrees. ‘The strength of VCS is twofold: a strong multidisciplinary faculty and the array of topics presented. Each core cosmetic specialty has its own unique approach; however, over recent years we’ve realised that by exchanging ideas and learning from each other, our fields improve exponentially. The mix of lectures, panels, and live demonstrations makes the meeting a busy one and very worth attending,’ she said. Want to learn how to use Facebook? Confused about the new EHR regulations? Interested in starting a medispa or skin care range? The VCS practice management track features a roster of specialists who will be speaking on a wide range of critical issues in online marketing, social media, staff training, managing difficult patients, SEO, SEM, coding, medical liability, public relations, reputation management, and much more. The marketing and management workshops present the tools you need to help your aesthetic practice thrive and grow. ‘We were the first people who put the emphasis on the idea of practice management and marketing. Because of that, we have recognised the importance of the office staff in aesthetic practices. We encourage physicians to participate in meetings with their staff because they are as important, if not more so, than the physicians. We were the first meeting to put the practice marketing track on the same level with the clinical sessions,’ said Dr Waldman. 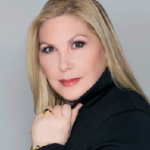 The aesthetic industry is also an important component of the decade-long VCS success story. There are over 100 exhibitors registered this year. New products from skin care to injectables and devices are featured in the exhibition hall so attendees are able to gain an overview of what is new and exciting. Vegas Cosmetic Surgery and Aesthetic Dermatology will be held on 18–22 June 2014 at The Bellagio in the heart of the Las Vegas strip. Las Vegas is known as a playground for adults and world-class restaurants, shows and concerts, and designer shops abound. The immensely popular O from Cirque du Soleil® features an international cast of acrobats, synchronised swimmers, divers, and characters who perform in, on, and above the water for a truly memorable evening. Enjoy some unique dining experiences at Petrossian, Le Cirque, Michael Mina, Picasso, and Prime Steakhouse, or shop-’til-you-drop on the strip in between courses.